How Much Alimony Will You Get? Across the United States, over 450,000 individuals receive alimony payments. While many of these individuals greatly rely on these payments, alimony payments are some of the most highly contested issues in a divorce. In many cases, divorces can carry on for years as spouses dispute potential spousal support (alimony payments). The exact way alimony is determined is not overly clear, however, Florida state law provides several factors that determine the size of alimony payments. The first thing the court will determine is whether either you or your spouse is in need of alimony. Once need is determined then the court will determine whether you or your spouse can pay the spousal support that is needed. After these two factors are determined and the court has found that one spouse is in need of alimony and the other spouse can pay alimony, then the court will review several other factors to determine exactly how much the spousal support payments will be. All other factors to ensure equity between the parties. 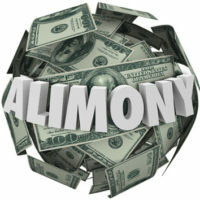 Lump Sum: This type of alimony is paid in one complete payment that covers all future payments. Once the lump sum is paid it can not be modified. Rehabilitative: The purpose of this type of alimony is to help your ex-spouse to become self-sufficient through work experience or education. The spouse that receives these payments must show that they have a plan of action. This is typically a short term payment plan. Durational: Typically, this type of spousal support is used for short to medium length marriages. Durational alimony payments are limited to the length of time of the marriage. Permanent Periodic: This type of payment lasts until your ex-spouse dies or remarries. This type is only available for long-term marriage. Bridge-the-Gap: This is a short term payment plan designed to help one of the spouses adjust to the single life. Generally, the length of time the couple was married plays a large role in the type of spousal support you are able to receive. However, if you and your spouse are able to negotiate terms of an alimony payment plan that you can both agree on, then this will be admissible. The complexities of alimony negotiations and the potential tax implications of these payments can often be complex and confusing. If you are in the midst of alimony negotiations it is wise to contact a knowledgeable family law attorney. 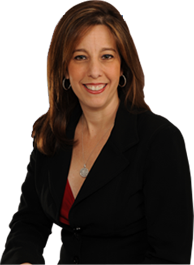 To learn more contact the law office of Sandra Bonfiglio in Fort Lauderdale. Attorney Bonfiglio is an experienced divorce attorney who will aggressively advocate on your behalf. Call 954-945-7591 now for a free consultation.